As several authors (Aryeh L. Avneri, Joan Peters, Fred M. Gottheil) have shown, the non-Jewish population of Palestine grew because of the many in-migrants who came to work at Zionist economic enterprises. But it's also worth noting that, even before that immigration began, this small territory was already filled with a wide range of peoples. This map shows what's meant (in modern terms, more or less northern Israel and northwestern Jordan) by Palestine. 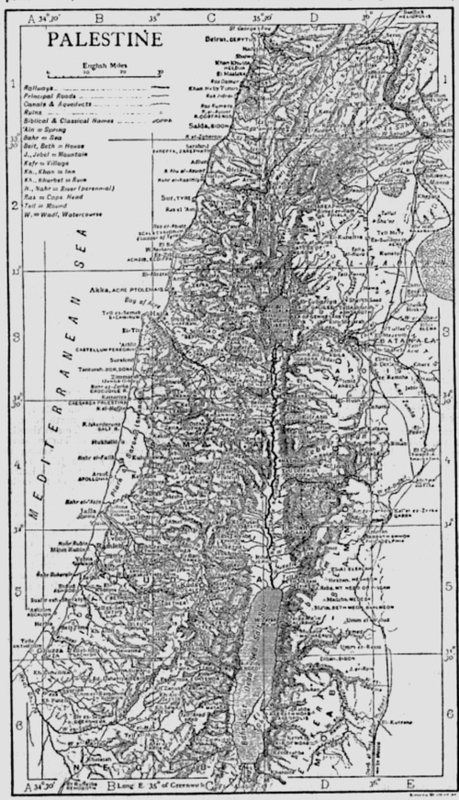 Map of Palestine, Encyclopedia Britannica, 11th ed. vol 20, p. 602. Macalister's section on the population of Palestine stresses its diversity. The inhabitants of Palestine are composed of a large number of elements, differing widely in ethnological affinities, language and religion. 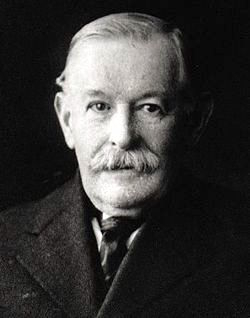 It may be interesting to mention, as an illustration of their hetereogeneousness, that early in the 20th century a list of no less than 50 languages, spoken in Jerusalem as vernaculars, was there drawn up by a party of men whose various official positions enabled them to possess accurate information on the subject. There are two classes into which the population of Palestine can be divided - the nomadic and the sedentary. The former is especially characteristic of Eastern Palestine, though Western Palestine also contains its full share. The pure Arab origin of the Bedouins is recognized in common conversation in the country, the word "Arab" being almost restricted to denote these wanders and seldom applied to the dwellers in towns and villages. It should be mentioned that there is a third, entirely independent, nomad race, the despised Nowar [Nawar], who correspond to the gipsies or tinkers of European countries. These people live under the poorest conditions, by doing smith's work; they speak among themselves a Romani dialect, much contaminated with Arabic in its vocabulary. The sedentary population of the country villages - the fellahin, or agriculturists - is, on the whole, comparatively unmixed; but traces of various intrusive strains assert themselves. It is by no means unreasonable to suppose that there is a fundamental Canaanite element in this population: the "hewers of wood and drawers of water" often remain undisturbed through successive occupations of a land; and there is a remarkable correspondence of type between many of the modern fellahin and skeletons of ancient inhabitants which have been recovered in the course of excavation. New elements no doubt came in under the Assyrian, Persian and Roman dominations, and in more recent times there has been much contamination. The spread of Islam introduced a very considerable Neo-Arabian infusion. Those from southern Arabia were known as the Yaman tribe, those from northern Arabia the Kais (Qais). These two divisions absorbed the previous peasant population, and still nominally exist; down to the middle of the 19th century they were a fruitful source of quarrels and of bloodshed. The two great clans were further subdivided into families, but these minor divisions are also being gradually broken down. In the 19th century the short-lived Egyptian government introduced into the population an element from that country which still persists in the villages. These newcomers have not been completely assimilated with the villagers among whom they have found a home; the latter despise them, and discourage intermarriage. Some of the larger villages - notably Bethlehem - which have always been leavened by Christianity, and with the development of industry have become comparatively prosperous, show tangible results of these happier circumstances in a higher standard of physique among the men and of personal appearance among the women. It is not uncommon in popular writings to attribute this superiority to a crusader strain - a theory which no one can possibly countenance who knows what miserable degenerates the half-breed descendants of the crusaders rapidly became, as a result of their immoral life and their ignorance of the sanitary precautions necessary in a trying climate. The population of the larger towns is of a much more complex nature. In each there is primarily a large Arab element, consisting for the greater part of members of important and wealthy families. Thus, in Jerusalem, much of the local influence is in the hands of the families of El-Khalidi, El-Husseini and one or two others, who derive their descent from the heroes of the early days of Islam. The Turkish element is small, consisting exclusively of officials sent individually from Constantinople. There are very large contingents from the Mediterranean countries, especially Armenia, Greece and Italy, principally engaged in trade. The extraordinary development of Jewish colonization has since 1870 effected a revolution in the balance of population in some parts of the country, notably in Jerusalem. There are few residents in the country from the more eastern parts of Asia - if we except the Turkoman settlements in the Jaulan, a number of Persians, and a fairly large Afghan colony that since 1905 has established itself in Jaffa. 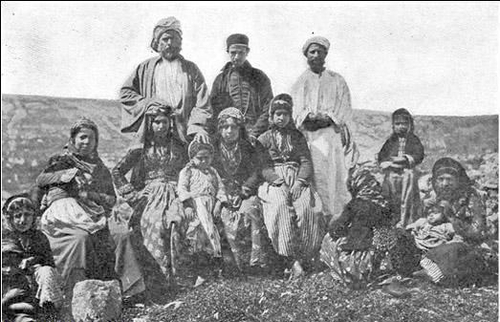 The Mutāwileh (Motawila), who form the majority of the inhabitants of the villages north-west of Galilee, are probably long-settled immigrants from Persia. Some tribes of Kurds live in tents and huts near Lake Huleh. If the inmates of the countless monastic establishments be excluded, comparatively few from northern or western Europe will remain: the German "Templar" colonies being perhaps the most important. There must also be mentioned a Bosnian colony established at Caesarea Palestina, and the Circassian settlements placed in certain centres of Eastern Palestine by the Turkish government in order to keep a restraint on the Bedouin: the latter are also found in Galilee. There was formerly a large Sudanese and Algerian element in the population of some of the large towns, but these have been much reduced in numbers since the beginning of the 20th century: the Algerians however still maintain themselves in parts of Galilee. This overview of Palestine mentions in no less than 20 foreign ethnicities other than the native fellahin (farmers) and the Jews: Assyrian, Persian, Roman, Arabian, Crusader, Nawar, Arabian, Turkic, Armenian, Greek, Italian, Turkoman, Motawila, Kurd, German, Bosnian, Circassian, Sudanese, Algerian, and Samaritan.